 At Dodds Christmas Trees, we respect your privacy and we want to be absolutely transparent about how we collect, store, use and share any information about users of our site and of our customers. We will never use your personal data other than as described below. Any personal information you provide to us including and similar to your name, address, telephone number and e-mail address will not be released, sold, or rented to any entities or individuals outside of Dodds Christmas Trees, other than those described under Third Party Services below. Cookies collected as you browse the site (more information below). Information about the device and browser you are using, including in some cases your public IP address. When you give us your personal data, we only use it in the course of providing our core service; delivering you Christmas trees! The nature of our business means that we don’t send much in the way of marketing, but will contact you if we think that it is in your legitimate interest for us to do so. For example, to remind you as Christmas approaches that we’re open for orders, to send you a discount or offer on your order, or to follow up with information on an order you’ve already made. The website runs on HTTPS, meaning your data is securely transmitted. As a growing (pun fully intended) business, we may from time to time export order and visitor data to analyse and learn more about our customers. This might include, for example, which products are most popular in which areas of the country. This data is only used internally, and is not stored beyond the initial analysis. We’re committed to keeping your data secure, and have suitable measures in place to ensure that all data is stored in a secure manner. All of these providers have their own privacy policies, which we’d encourage you to read if you require further information. We also pass on details pertaining to your order (such as your address) to third party couriers, for the purposes of fulfilling delivery. For information on which courier(s) we use, please visit our delivery information page. We use Stripe and Paypal to process payments. Dodds Christmas Trees does not store payment card details. Your details are transmitted directly to these services in a secure and encrypted way. Anonymous User Cookies: Google Analytics is used to give us information about user behaviour in an anonymous way.